Writing content is an art. We have all heard about the Content is King! but it’s way too easy to the loose sight of better readability. 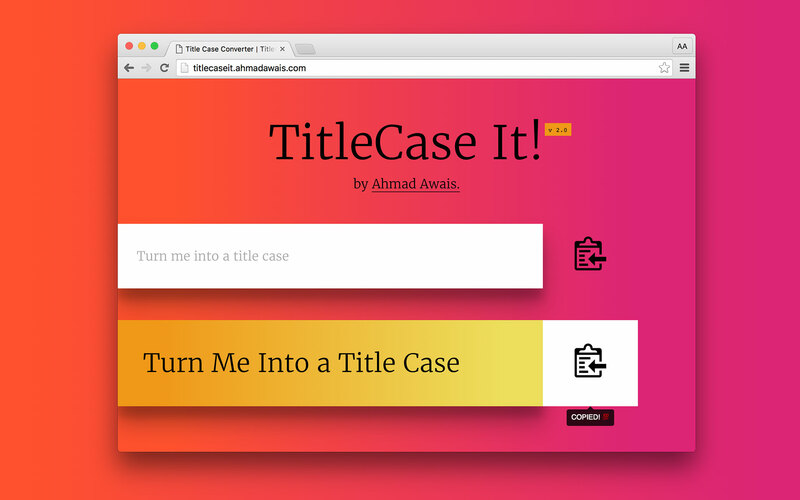 Turn your content’s titles and headings into the Title Case with TitleCaseIt. 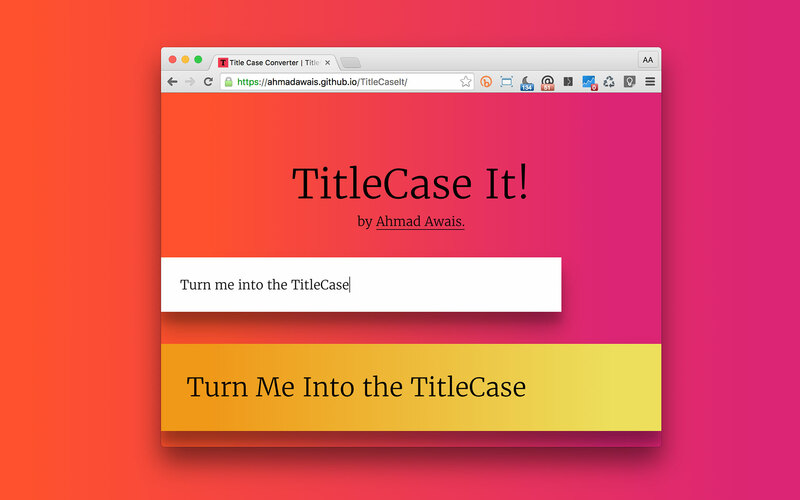 Write or Paste the title. Click the copy button to copy the title in your clipboard. 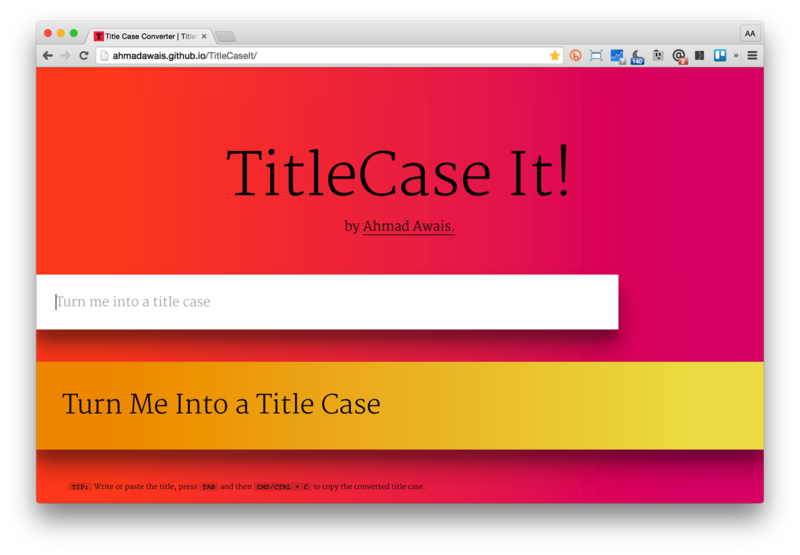 Press TAB and then press ENTER or RETURN and the title will be copied to your clipboard. Tab index for quick operation. Licensed under GNU GPL v2.0. Copyright (C) Ahmad Awais.